Coolant Change - Today's long life engine coolants have a service life of five years or 100,000 to 150,000 miles, which ever comes first (not last). 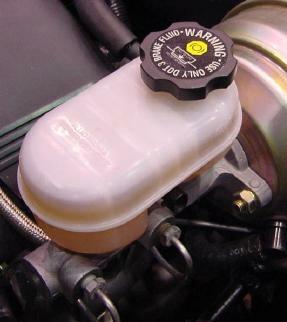 Consequently, the coolant is NOT a lifetime coolant that never needs to be checked or changed. 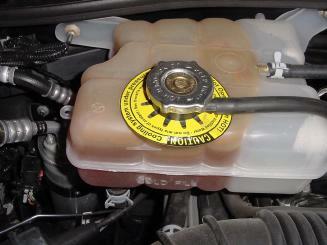 After five years, the corrosion inhibiting chemicals in the antifreeze are usually worn out. If the coolant is not replaced with new coolant, corrosion can damage the heater core, radiator and other parts in the cooling system. So keep driving it until something fails and costs you a lot of money to fix, or change the coolant every five years and prolong the life of your cooling system. Use the same type of antifreeze that is in your cooling system now, or refill with a "universal" coolant that can be used in all makes/models of vehicles. Transmission Fluid Change - Though your owners manual may not list a recommended service interval for changing the fluid in your automatic transmission, that doesn't mean the fluid (or your transmission) will last forever. Today's transmission fluids contain long-lived synthetic lubricants and are much longer lived than transmission fluid from a couple of decades ago. But heat and hard use can still cause the fluid to oxidize and break down. Because of this, many transmission experts say you can prolong the life of your transmission by changing the fluid every 50,000 miles. Be sure to use the type of ATF specified for your transmission, as there are many different types. Using the wrong type can cause transmission problems. 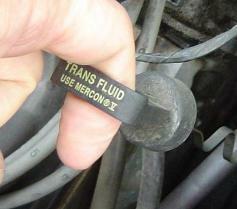 Brake Fluid Change - Never change your brake fluid? Most motorists never do, until their vehicle needs brake work and hydraulic parts have to be replaced because of internal corrosion. After several years of service, brake fluid becomes contaminated with moisture. This lowers the fluid's boiling point and increases the risk of the fluid boiling and causing the pedal to fade under hard use. The corrosion inhibitors in the fluid also break down over time, which allows moisture and dissolved oxygen to corrode the brake calipers, wheel cylinders, master cylinder, steel brake lines and the ABS hydraulic unit. Changing the fluid every three to five years can prevent this and prolong the life of your brake system. Chemical test strips are available in auto parts stores that can be used to test the condition of your brake fluid. 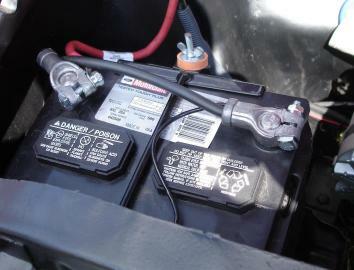 A New Battery - Most people never think about replacing their battery until their car won't start. The average life of a lead-acid wet cell car battery is only about three years in hot climates, and four to five years otherwise. Absorbent glass mat (AGM) batteries are somewhat better, and often last a year or two longer than a wet cell battery. Even so, all car batteries eventually reach the end of the road and have to be replaced. So if your battery is more than five years old, better think about replacing it before it dies. That can save you the hassle and expense of a breakdown and a service call. A New Timing Belt - Not to be confused with a serpentine belt that drives the engines accessories (alternator, water pump, power steering & A/C compressor), a timing belt turns the camshaft in many overhead cam engines. The rubber belt, which is actually made of a synthetic rubber such as HSN or EPDM, has a service life of about 60,000 to 100,000 miles, depending on the application. It is NOT a lifetime belt. Eventually it will break. So if your car has a timing belt, look in your owners manual to find the recommended replacement interval. If you do not change the belt, and it breaks, your engine will stop running immediately, and one or more valves may hit the pistons when the camshaft stops turning (if you have an "interference" engine with tight valve clearances). This can cause very expensive engine damage. If your engine has a steel timing chain rather than a rubber timing belt, you don't have to do anything. 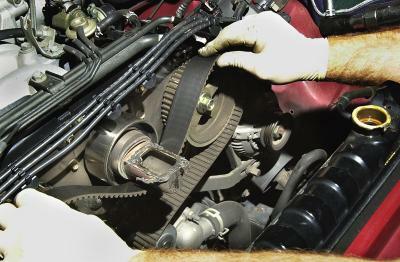 Most timing chains will usually last the life of your engine (up to 200,000 miles or more).